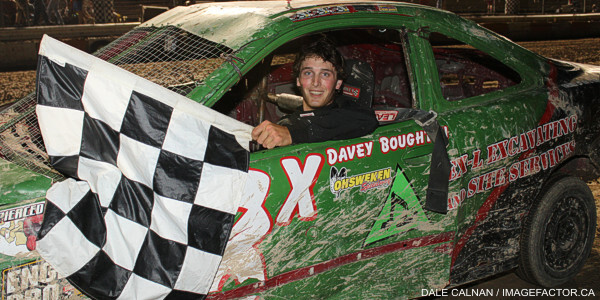 By Tommy Goudge (February 8, 2013) – Drivers and teams from Ohsweken Speedway are hard at work getting ready for the 2013 racing season, which is now less than 4 months away. 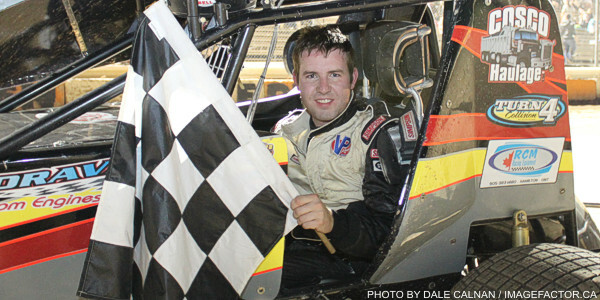 Chris Steele took a break from those preparations to reflect on his 2012 Corr/Pak Merchandising Sprint Car championship, and look ahead to 2013. Steele’s 2012 Sprint Car championship came in just his third season competing in the division. 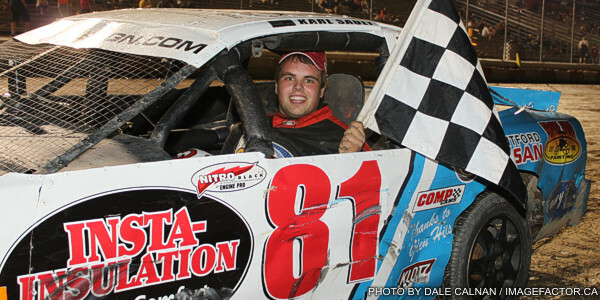 The 25 year old driver also won the first two Sprint Car features of his career in 2012, while also competing in selected 358 Modified events at other area tracks. This season, he will try to become the first repeat Sprint Car champion at Ohsweken since the division began weekly competition in 2008.